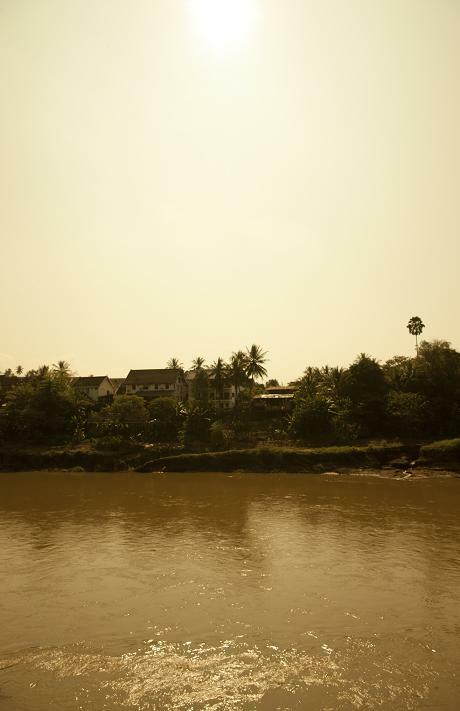 There are so many wondrous and exciting things to discover in the ancient town of Luang Prabang. This 1995 UNESCO listed World Heritage Site is one of the most charming and best preserved towns in South East Asia. Surrounded by a backdrop of lush green rainforest mountains and flanked by the mighty Mekong and the elegant Nam Khan River, its French colonial architecture, 34 Buddhist temples, and ancient golden wats with gleaming stupas sit side by side. Your visit helps support their ongoing protection and maintenance. Nearby, you can explore tropical waterfalls, take elephant rides, trek to remote hill tribe villages and of course, enjoy a Mekong river cruise – all close by and within easy reach from Luang Prabang, by boat, tuktuk, bicycle, bus or on foot. Luang Prabang’s Night Market offers handicrafts from local artisans, who use unique traditional production techniques, and various handicraft villages can be visited, where you can buy direct from skilled craftspeople such as potters and silk weavers. Luang Prabang has a wide variety of restaurants eateries serving magnificent local Lao food – leaving your tastebuds enlightened and yearning for more! My Dream Boutique Resort will refer you to the highest quality, best value and most responsible tours and activities around. Recommend villages where you can ride on elephants rescued from harsh logging camps, and where the care of these magnificent beasts is maintained to ‘Best Practice’ standards. Introduce you to top-quality guides who will design a tour uniquely for you. Arrange home-stays where you step back in time and experience Lao village life. Help you travel to stunning waterfalls and traverse the mighty Mekong River and its tributaries. Whatever your Lao dream, we at My Dream Resort can make it come true! My Dream is wholly Lao-owned and operated, and its management and staff are committed to offering you a truly authentic Lao experience. Note: All rates include 10% VAT and we add NO service charge and NO credit card fee. Comfortable extra bed is 35 US$ for winter season and summer season and baby cot is free of charge. Breakfast included. Ban Meung Nga Village, Meung Nga Street, Luang Prabang, Laos PDR. Phone: (+856 71) 252853 or 410275 or 410276. Fax: (+856 71) 212986. Due to the enlargement of our hotel there will be unavoidable construction noise from now on till the end of October 2017 this year. Although we have made all possible arrangements to keep the nuisance to an absolute minimum some of our guests may feel disturbed. Therefore we offer a discount of 10% to those who stay two nights or more on the room rent. Please consider that when you make a booking or revise a booking that has already been made for MY DREAM BOUTIQUE RESORT.